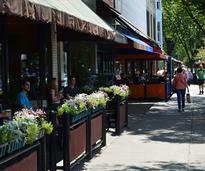 If you're planning on visiting Saratoga Springs, checking out the city's Downtown is a must! If you're not familar with the area, we have you covered on the best hot spots throughout Spa City's Downtown. 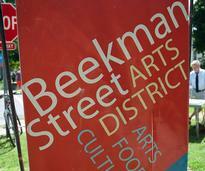 First off, take a stroll down Broadway and enjoy the vibrant atmosphere that is like no other! The streets of Downtown Saratoga are filled with people and lined with unique boutiques, an array of fantastic restaurants, and lively bars. There are several spots for great shopping, superb dining, and exciting nightlife, plus eclectic art galleries and relaxing spas. In the warmer months, it's not uncommon to hear the sounds of musicians playing on multiple street corners or even see a horse or two. 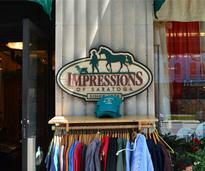 If you love to shop, Saratoga Springs is the place for you! For many, shopping is the main attraction in this bustling Downtown district. This city is known for its art! Explore the many eclectic galleries and studios you'll find in Downtown Saratoga Springs. 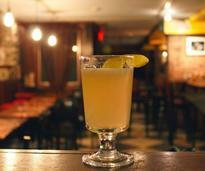 Restaurants in Saratoga are known for their spectacular ambiance and diverse menus. Check out at least one while you're in town! With a wide array of bars and clubs to choose from and its great live music scene, Saratoga is the place to be any night of the week! Relax in style at one of Saratoga Springs' famous spas! Feel the tension disappear as you get pampered. 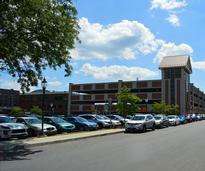 There is ample parking in Downtown Saratoga if you know where to look! Check out our guide to find parking all throughout the city. Looking for restrooms? City Hall, Saratoga City Center, Arts Center and Visitor Center all have public restrooms. After an eventful day of shopping, dining, and visiting the delightful spas, you can retire for the evening in a Saratoga Springs hotel or to a comfy, cozy and historic inn. Simple to complex, the sky is the limit. Downtown is the place to be in Saratoga!